Apple announced at their September event a new wireless charging mat called AirPower, capable of charging an iPhone 8, iPhone 8 Plus, iPhone X, Apple Watch Series 3 and second generation AirPods cases. The benefit of AirPower is allowing customers one wireless charging mat to juice up a compatible iPhone, Apple Watch and AirPods case all at the same time. Apple said AirPower is coming later in 2018 and no prices were announced, but speculation is it could cost around $199 USD. 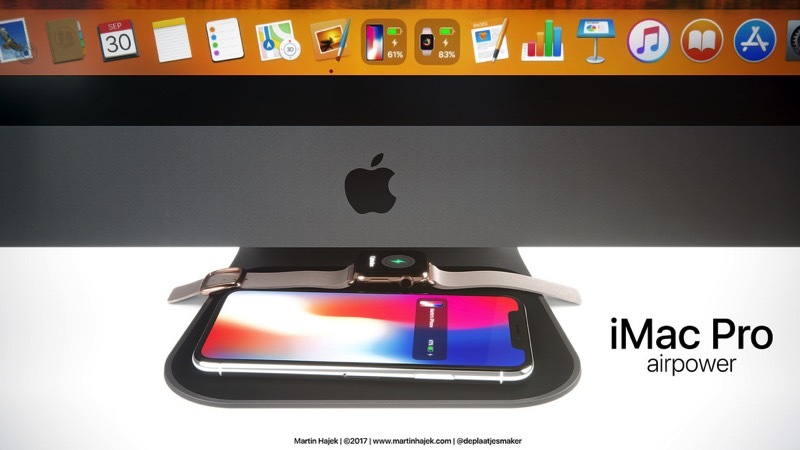 What if Apple had implemented AirPower into the base of an iMac or iMac Pro? 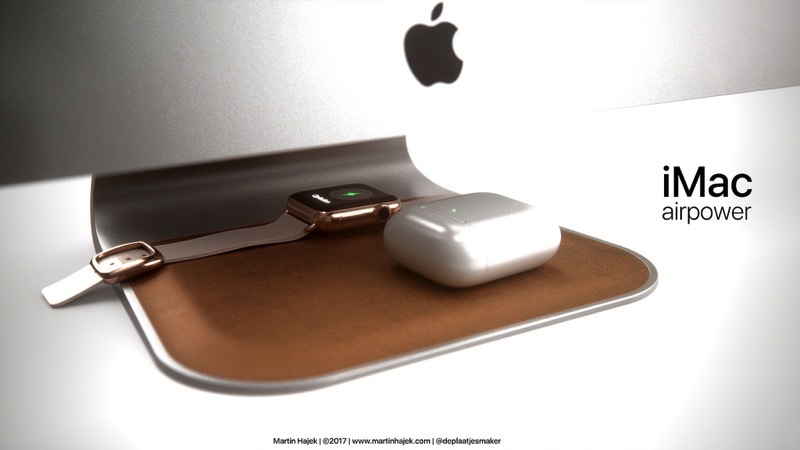 That’s what designer Martin Hajek has imagined, with yet another one of his Apple concept releases. 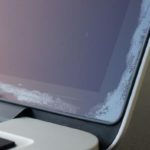 The iMac models shown in these concept images have their AirPower base covered in softer materials such as felt or leather, to prevent items charged from being scratched or sliding away. While this is just a concept and would most likely not materialize in real life, it’s an interesting idea (and surely would come with an added cost). Earlier this week, Hajek released concept images imagining a larger ‘iPhone X Plus’, as recent rumours have claimed Apple may be releasing larger 6.5-inch OLED and 6.1-inch LCD models in 2018.